A 30th Anniversary edition of Queensryche's Empire is in the works, featuring contributions from original singer Geoff Tate. Talking with eonmusic’s Eamon O’Neill, Tate revealed a box set is planned for Queensryche’s best-selling album, which was originally released in 1990. Although the singer declined to elaborate on what kind of material the set will feature, he confirmed that the project has started. There is a plethora of goodies out there that could make this box set a must-buy, even if, like this writer, you’ve bought Empire countless times. Some are more realistic than others, and of course, a lot of the contents will likely be based on an unknown—what kind of budget Capitol Records (who I assume still holds the rights to Queensryche's 1983-1997 catalog) has given for the project. Since Tate didn’t budge on what’s in the box, here is a top-5 list of stuff that should be included to make this upcoming edition the best it can be. Anyone who read this blog’s last entry knows that a remastered vinyl edition of Empire was released in August. It was very well done, particularly in comparison to the shoddy 2003 version. So it is only natural that a box set to celebrate Empire in 2020 should feature a properly remastered CD of the original master recording, so that the album doesn’t crackle at high volume. 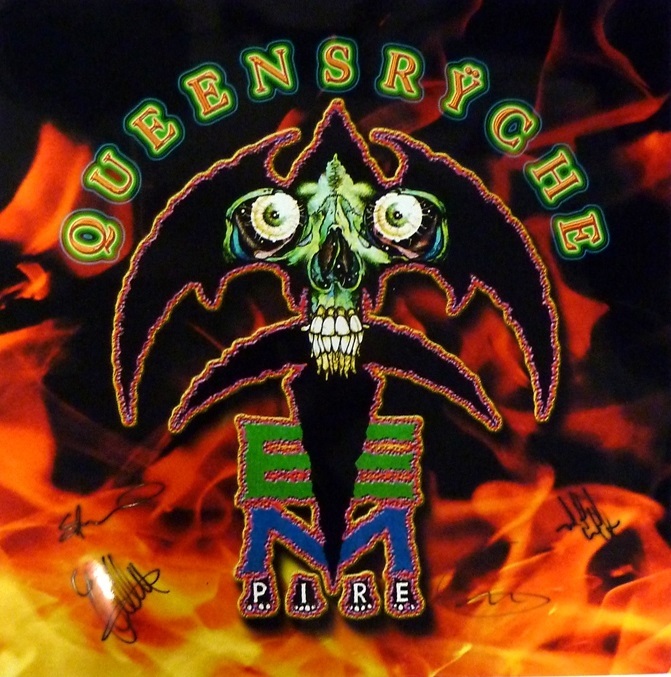 Queensryche collectors have had a bootleg disc of Empire demos since the mid-1990s, which features alternate takes of songs that appear on the album (such as a saxophone version of “The Thin Line”) and various cuts that were clearly jam sessions. In addition, several b-sides from the Empire sessions have been officially released over the years, first on singles, and then on the 2003 remaster, and various compilations. It would make a lot of sense to finally put that all together on a CD set, with some commentary from the band on the tracks. Queensryche’s 1990-1992 Building Empires tour has been well represented over the years with various live releases. Unfortunately, however, a complete show of the tour has never been released in one standalone recording. Sure, Operation: LIVEcrime features the Operation: Mindcrime portion of the show, but nothing further. The Building Empires DVD contained a lot of the other songs as live videos, and later on, a complete audio show was released in two parts on expanded editions of the Operation: Mindcrime and Empire CDs, respectively. What would really be nice is if Queensryche made the effort to give fans one full complete show from the tour that hasn’t been released yet, in a 2 CD/Blu-ray package. A ton of footage exists from the Building Empires tour. All three shows filmed for the Operation: LIVEcrime album exist in the vaults. Remaster one of them as the definitive live document of the entire tour or pull from various recordings to compile one complete show. Either way, there should be enough material to pull this off. A celebration of Empire isn’t complete without talking to the guys who wrote and recorded the album. Yes, there has been a lot of drama over the last six years, with Tate being fired from Queensryche, the lawsuit, and now drummer Scott Rockenfield being “on leave” from the current version of the band. That said, however, there’s also a lot of water under the bridge, particularly regarding Tate. Marillion did something similar with its latest box sets for Misplaced Childhood and Clutching at Straws. If they can do it, so can Queensryche. It’d be nice to have Chris DeGarmo, Eddie Jackson, Rockenfield, Tate, and Michael Wilton talking about the band’s most successful album, together, under one roof. Particularly if they are in the studio with someone like engineer James “Jimbo” Barton, playing the tunes from Empire one by one and letting the memories flow. A discussion about the transition from Operation: Mindcrime to Empire, the writing and recording process, and the two-year Building Empires tour, would be a nice cap to the original lineup, if no reunion ever comes to fruition. The holy grail of the Empire era, Queensryche’s MTV Unplugged session from April 27, 1992, is still widely talked about (and bootlegged) by fans. While the band released the originally aired footage on Building Empires, and the audio of those songs has been around for ages on various compilations, the complete recording, featuring outtakes and additional songs has never seen an official release. Now’s the time to put it out there. The full session features performances of “Anybody Listening?” and a cover of Neil Young’s “Rockin’ in the Free World,” and various jokes and banter between the band members that really showed the kind of chemistry Queensryche had back then. It’d be nice to finally have that entire show presented, so fans can relive the final chapter (they only played one more show in 1992, the one-off June 6, 1992, Rock the Environment benefit performance) to the Empire era of the band. This list isn’t definitive by any means. Any proper box set like this also needs some sort of an expanded book of photographs and commentary from the band to illustrate the time period. Tate has alluded to writing liner notes, so hopefully, that is a part of the project. In addition, not listed above is any sort of vinyl version of Empire. I didn’t put it on there, because as mentioned earlier, a newly remastered vinyl edition of Empire came out in August. Further, vinyl is expensive and ratchets up the costs -- both for the label and the consumer. Sure, I’d love to have a complete live show as a vinyl release. But in all likelihood, the production costs would be too high to justify it. I'd also like to see the aforementioned Building Empires transferred to Blu-ray and included in this set, along with the Empire DVD-A (featuring the album in a 5.1 mix). Again, however, the costs associated with re-rendering Building Empires to Blu-ray, and the added weight and expense of including both it, and the Empire DVD-A, may be cost-prohibitive, depending on the packaging, and whatever the retail price point the label is considering. Finally, it must be noted that this box set won’t be complete without the involvement of Chris DeGarmo. He was instrumental not just in the writing and recording of the songs that comprise Empire, but in the directional shift Queensryche took at the time. 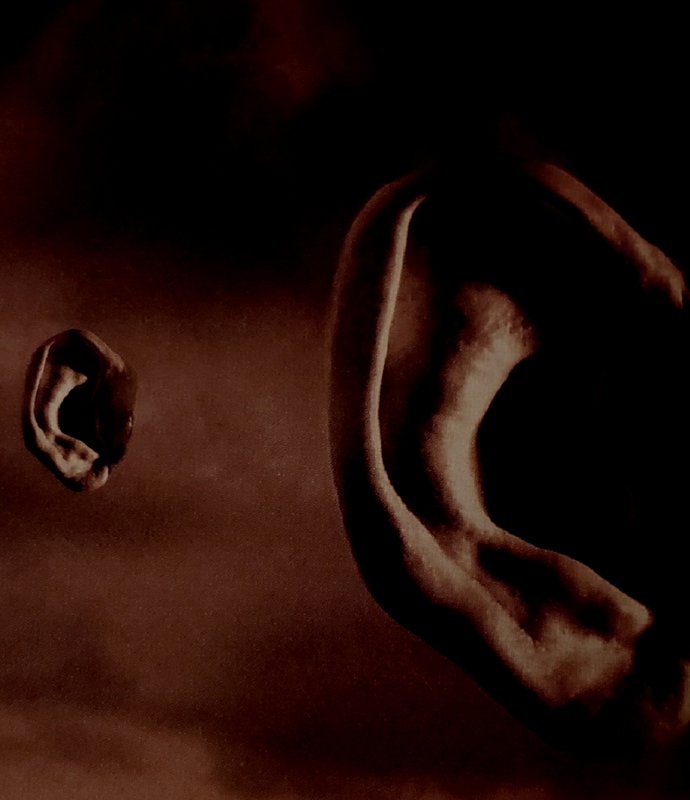 (Not to mention being one of the primary architect's of the band's sound.) DeGarmo’s presence on this anniversary edition project is vital to ensure its integrity. Editor's Note: Since this story was first published on Nov. 29, a representative from Queensryche has indicated that the current band (which includes Michael Wilton and Eddie Jackson) is not involved with the Empire box set. According to that representative, the label reached out to Tate for his input on the set, and the current Queensryche band will not be participating. The above article has been modified accordingly.